The weather is warming up quickly; springtime is here! And with warmer, drier weather comes more water consumption. As a result, more Utah residents are thinking about how they can make water conservation a part of their lifestyles. So, if you’re wondering what kinds of things you can do to help conserve, but aren’t quite ready to zeroscape your yard, keep reading for five easy things you can do. 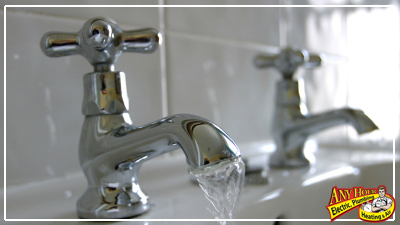 We can probably all think of ways to save money and resources by making simple everyday decisions in our water usage. 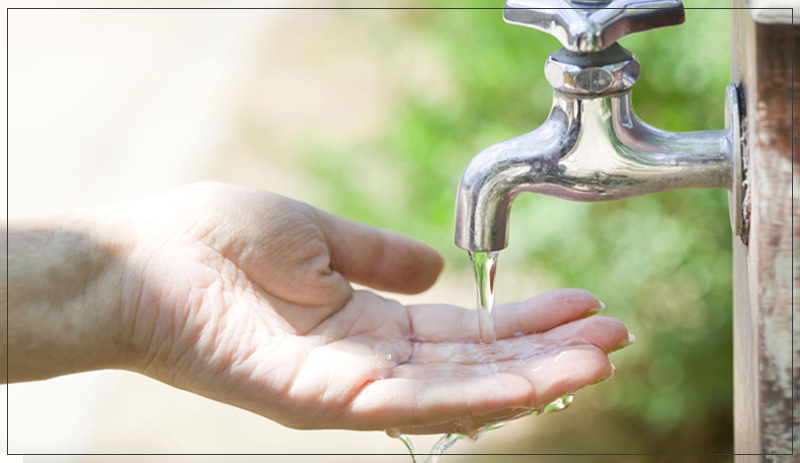 Simply remembering to never leave water running is a really good water conservation tool. 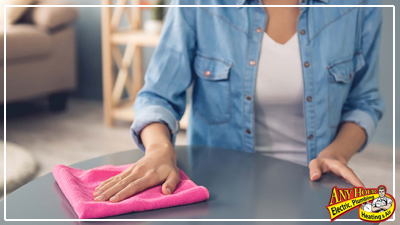 Whether it’s turning the water off while shaving or brushing your teeth, turning the faucet off when you step away from the kitchen sink, or not leaving a hose running in the yard, make it your personal and family goal to turn off any running water. Make sure to include your toilet in your checklist as well. 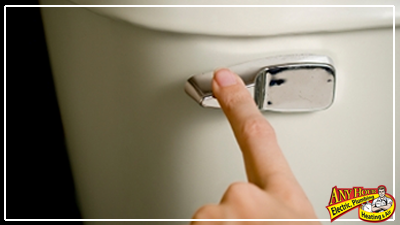 A running, leaking toilet can waste up to 73,000 gallons of water per year! My kids and I like to make a game out of expert dishwasher loading. Like a game of Tetris, we try to see how many dishes we can fit in the dishwasher while also making sure each dish is in a good position for getting clean. Running a full dishwasher--and a full clothes washer--saves so many resources for you and your family! For starters, you save money when you’re heating fewer gallons of hot water. But also, you save money on your power bill when your appliances are running less often. And finally, you’re saving hundreds of gallons of water over time. This one comes with some definite upsides. If everyone in your house is conscientious about taking shorter showers and running less water for baths, everyone wins! 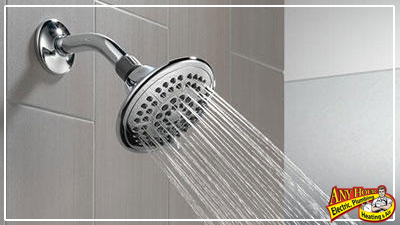 You’ll waste far less water for one, but you’ll also save on water heating costs. Not only that, but shorter showers means fewer cold water showers and shorter wait times to get into the bathroom. And here’s a tip if either you or someone else in your house tend to lose track of time in the shower: try a one-song shower! Use either a waterproof speaker in the shower or simply set your phone on the counter to help keep the shower short. This way, you can pace yourself and know when your time is done. This water saving tip can actually save you hundreds in plumbing repairs--and save taxpayers thousands in water treatment problems. As tempting and easy as it might be, the toilet was not designed to be a trash can. Your home’s plumbing and your city’s sewer system are not designed to handle garbage--that’s what your city’s garbage service is for! So next time you think about putting dental floss, Q-tips, hair, tissues, wrappers, gum, or any other trash not approved for use in sewers into the toilet, think about how much money and how many man hours you could save yourself and your city by saving a flush and simply placing those items in a trash can instead. 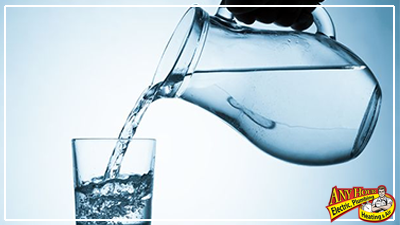 Instead of letting the tap water run until it’s cold (which in the summer can take quite awhile) to fill up a glass or pitcher with cold water, always have cold water on hand by keeping a pitcher of it in the fridge! This one is a super simple tip that can save a lot of water over time. Many people likely don't think that water conservation is a big deal. But this year, because we've had such a dry winter, it's even more important. So start establishing water-saving habits now! Don't wait until it's gone to start thinking about saving water.